A monthly comedy show that showcases the DMV's best comedic talent. The Free Wifi Comedy Show is a monthly showcase that highlights DMV's best comedic talent. The latest show at The Colony Club in Washington D.C. will feature Andy Kline. Andy Kline, who is a familiar face at D.C.'s hot spots. 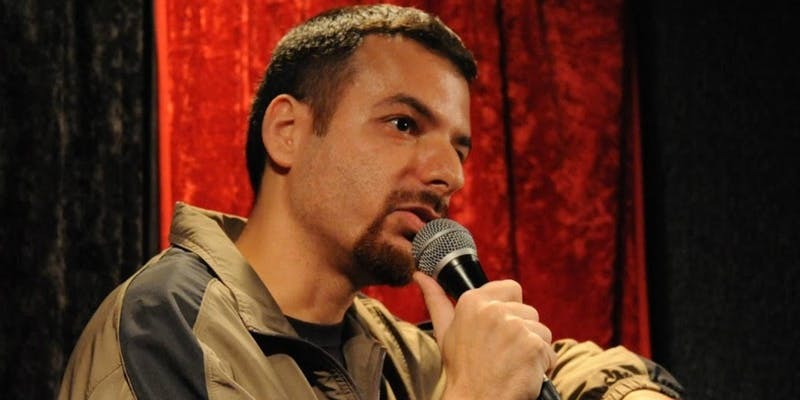 He's shared the stage with Wanda Sykes and Dave Chappelle, and has been featured on XM Satellite Radio. His new CD, Vintage, features some of the big laughs that have him on the rise, and you can catch him, along with many funny folks, at this comedy showcase. Show will start at 8:00pm sharp and end at 9:30 pm. Admission is 2$ for 730 Subscribers and Colony Club Patrons. Also if you want to avoid the service fee from Eventbrite, buy tickets for a flat fee on Venmo: https://venmo.com/Adrian-Rodney . If using Venmo put name and email and how many are coming in your party.